and when it will be possible to download? Big thanks to the whole team for creating such a masterpiece! Same, only want to play it if it's a 100% experience. Bugs are a big part of the S.T.A.L.K.E.R. experience. Cool trailer! The game looks better than the original. The only bad thing that there will not be Russian sound, if only Russian subtitles were. Thank you!!! should be ready for download soon ! One more chance to 'Stalker's universe to reincarnate! Sure that in Russia there will be something to discuss next 5 months, I garant it! I'm really looking forward to the release but I've gotta ask, Why the hell would you use an old build video for a Release trailer? True, I think it looks pretty good in the trailers old build so if it's topping that it's gonna be worth the wait. Good luck to the dezowave group and hope they will be able to make more of those wonderfull types of mods. OH!! love the Pripyat overview. Want to be there again... Congratulations and thanks for this video! 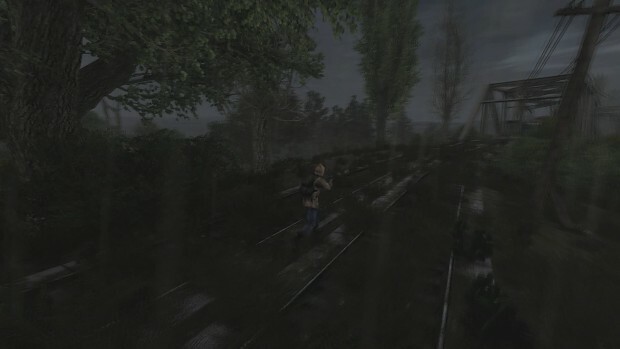 This reminds me of Far Cry Instincts...but with STALKER. The music and the transitions! Well done trailer, can't wait. Why would you compare Lost Alpha to Misery? You better release your mod than delete my comments, scrubs. Does the multiplayer part works ? please note: the trailer was recorded in an early build, so the release version looks different!